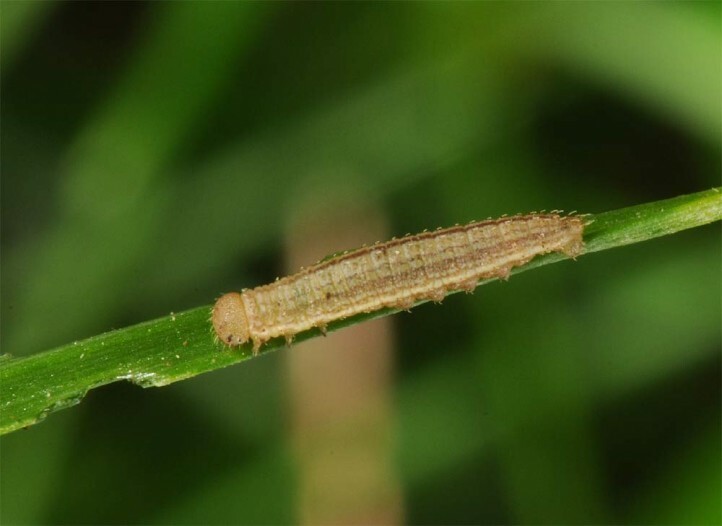 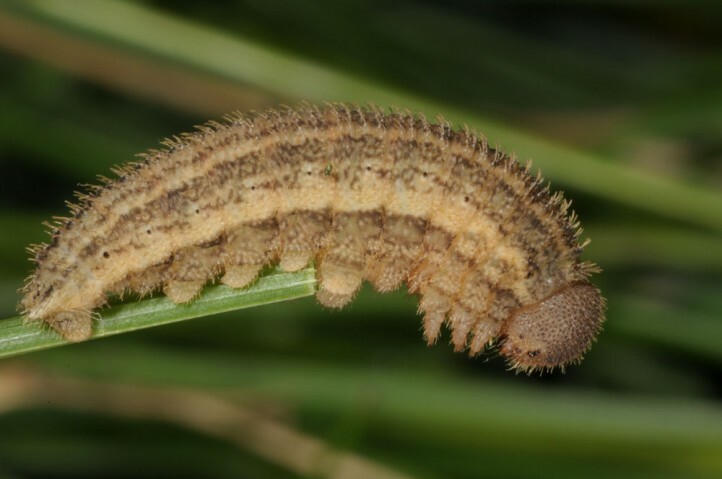 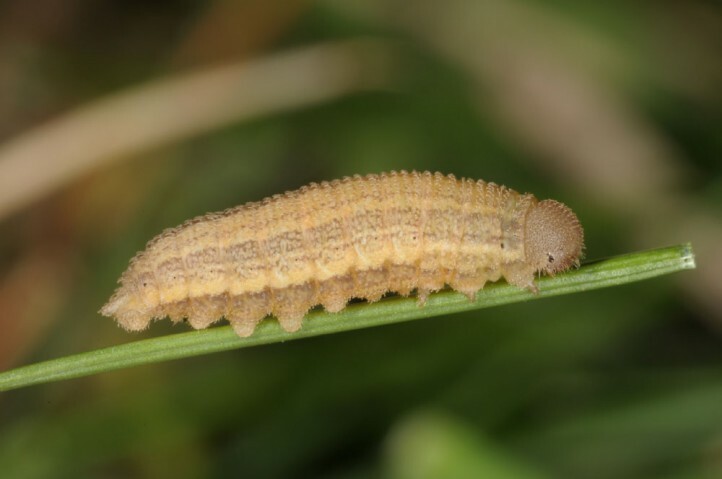 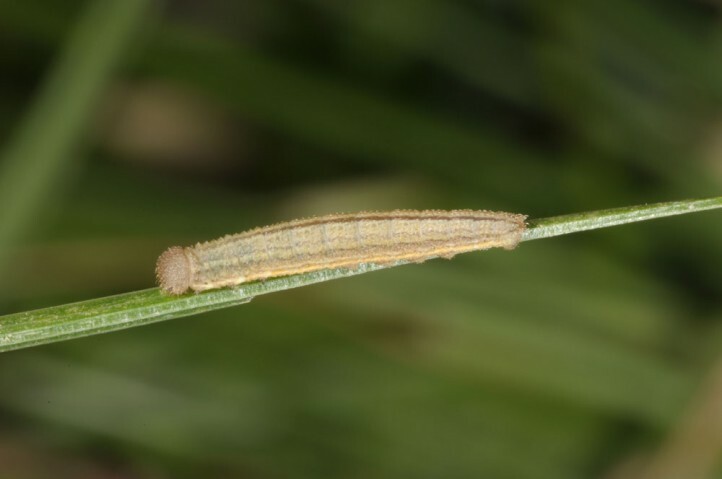 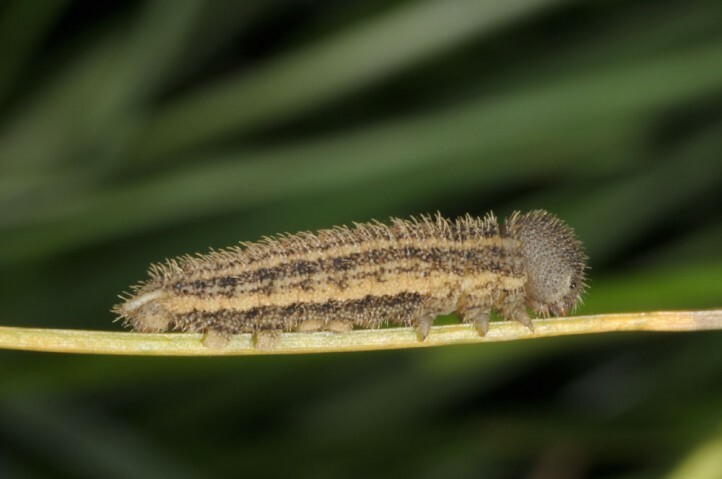 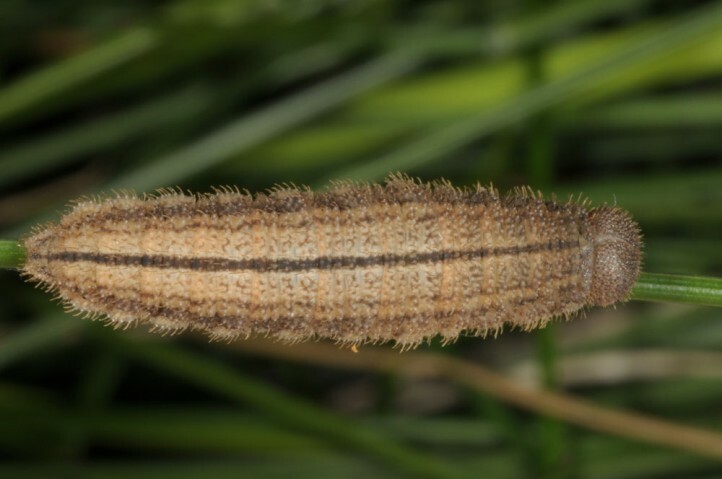 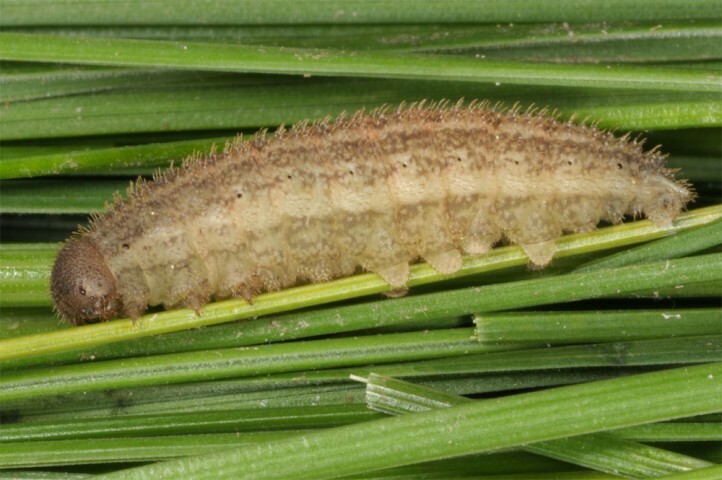 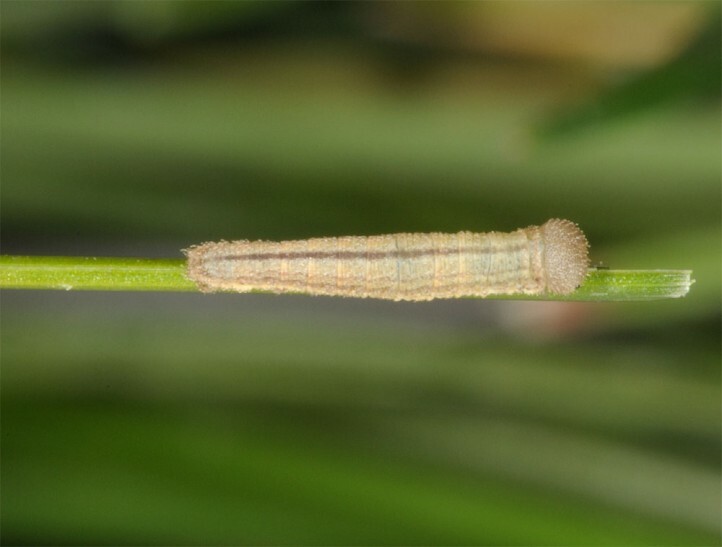 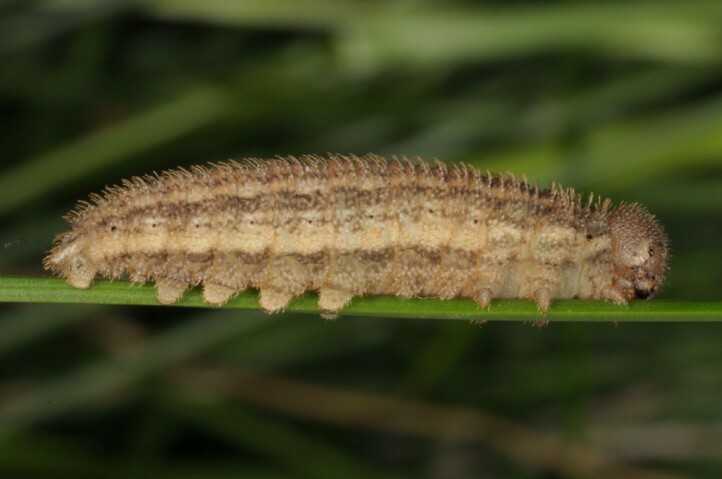 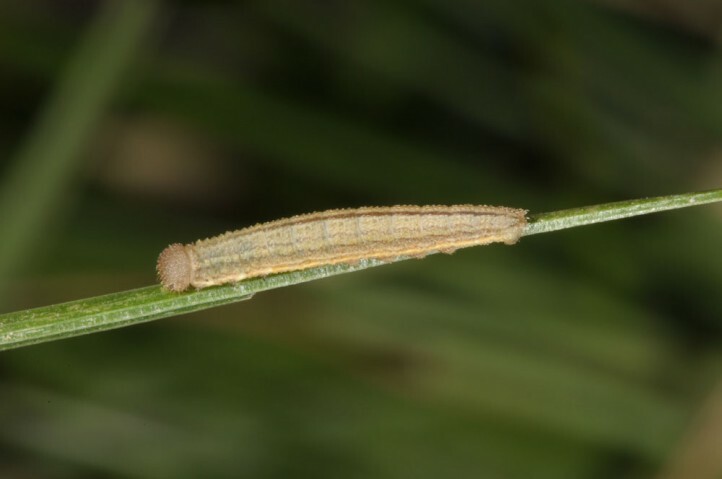 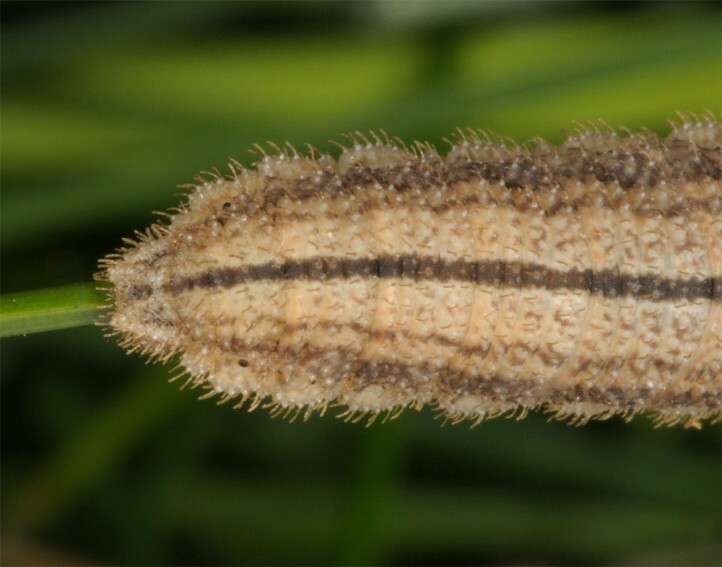 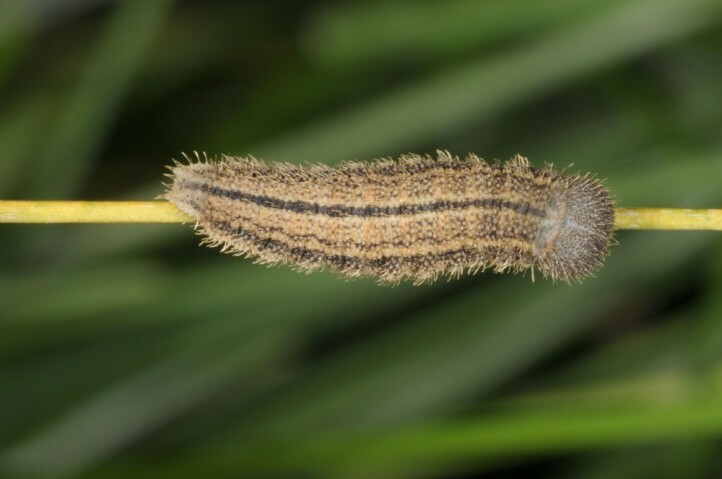 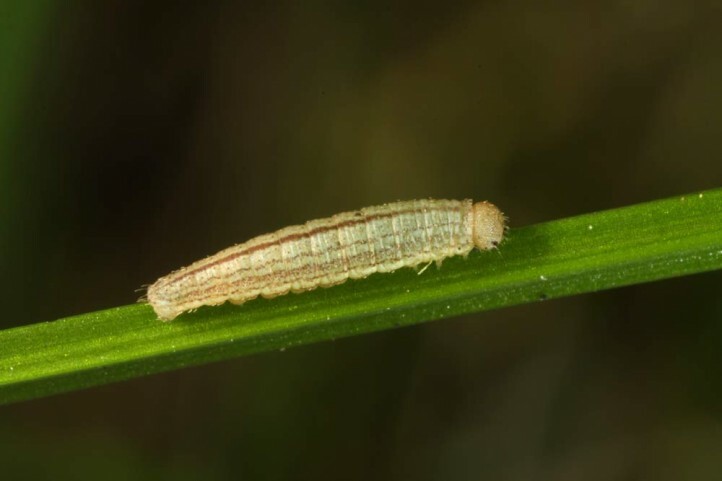 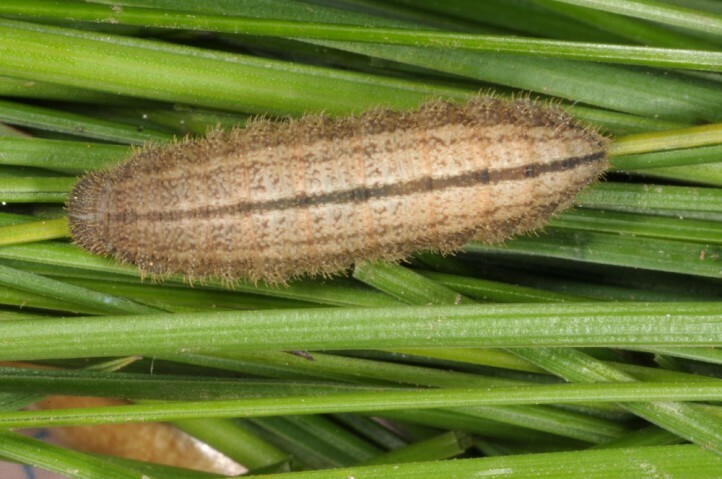 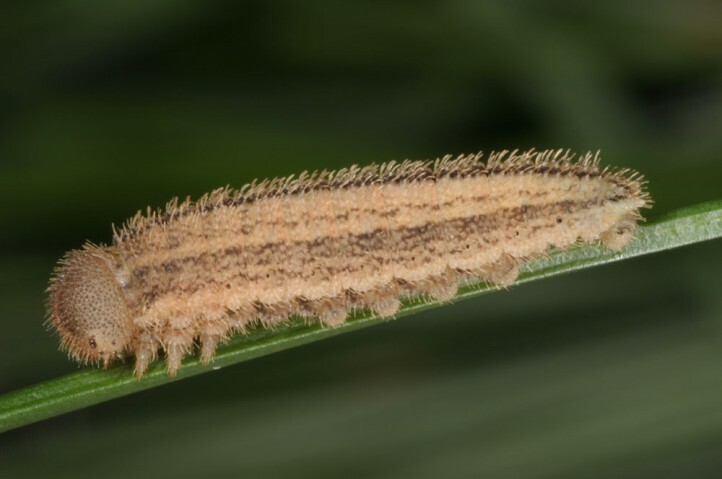 The caterpillars feed on some grasses. 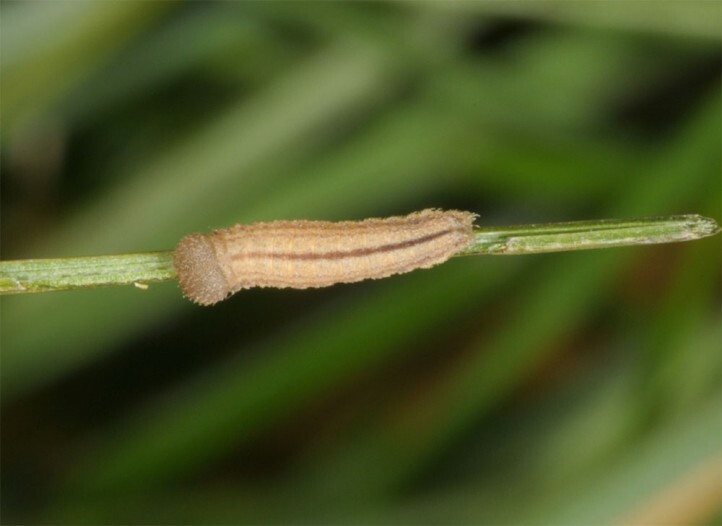 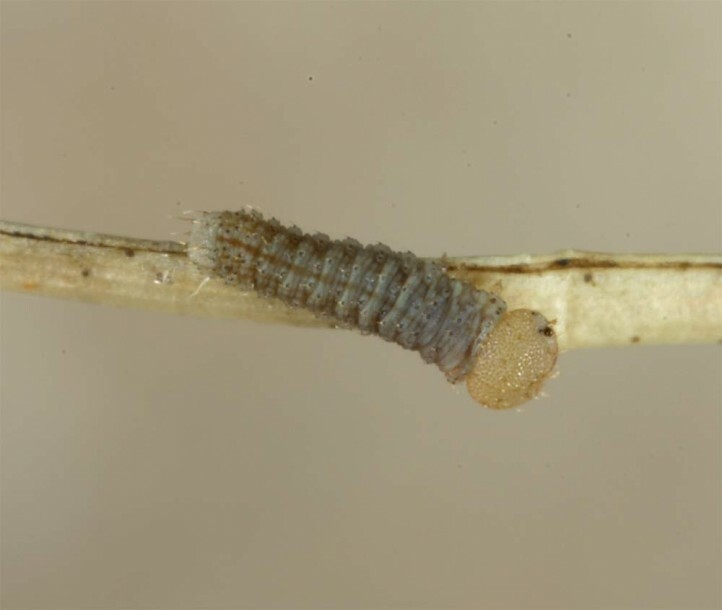 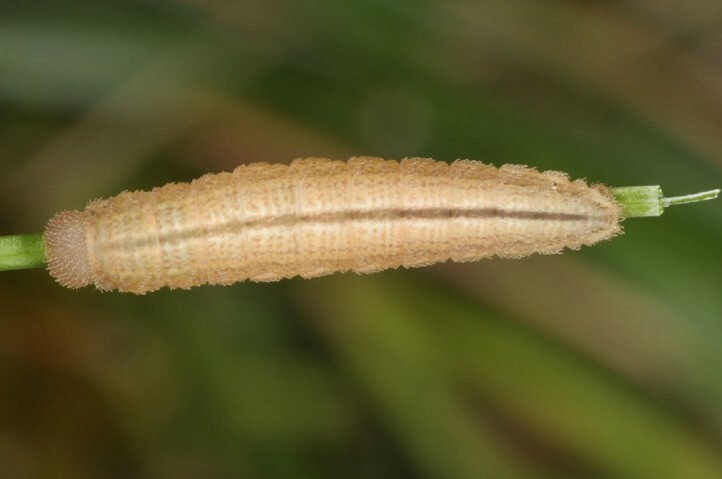 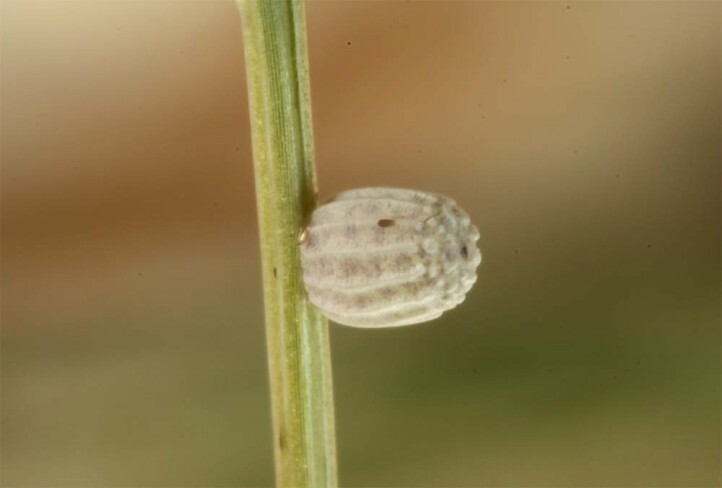 I observed oviposition at Festuca ovina agg. 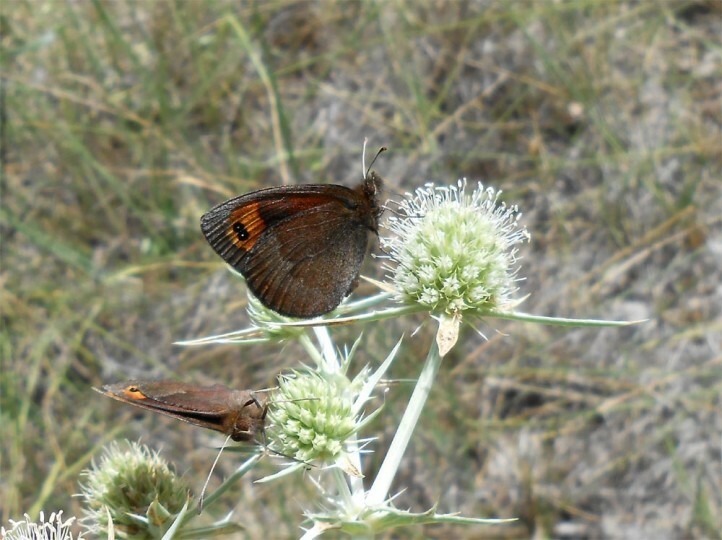 in a limestone habitat and at Nardus stricta in a acidic area. 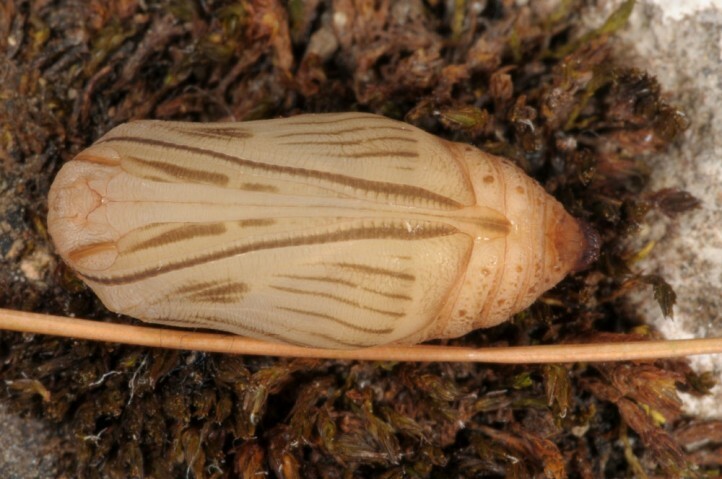 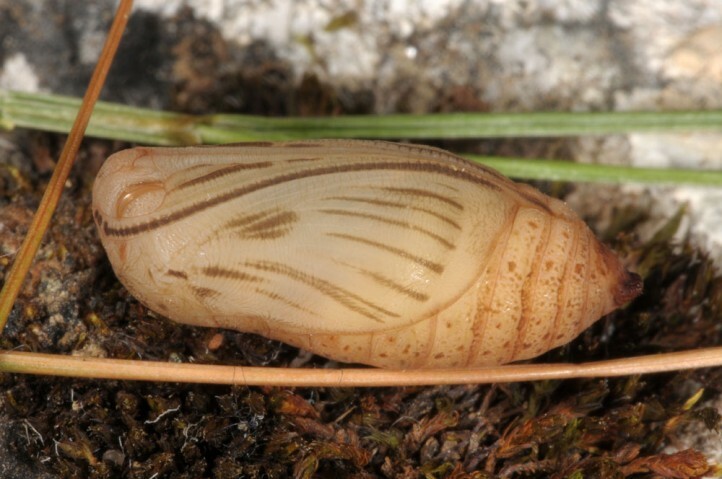 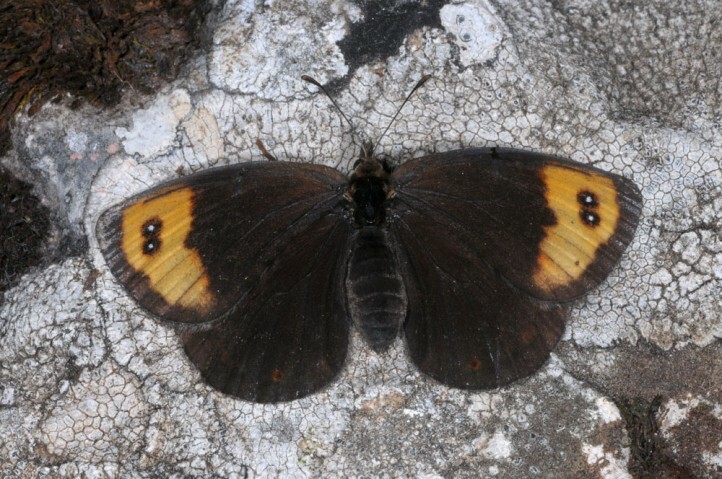 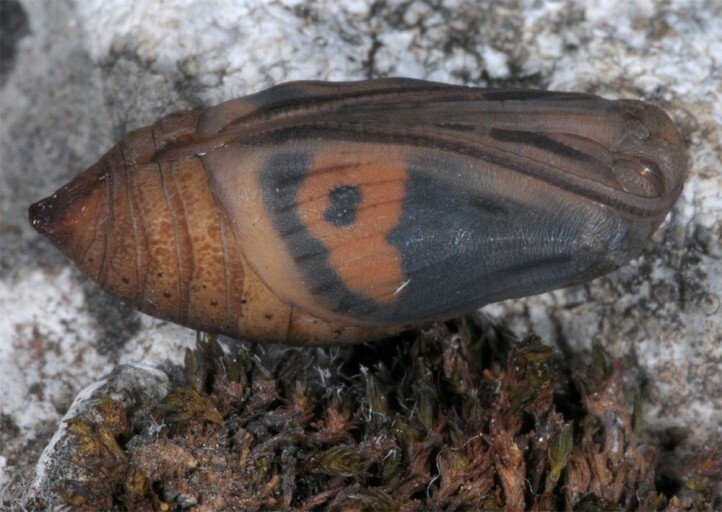 Erebia zapateri inhabits open pine forests with grassy undergrowth and especieally forest gap systems (forest pastures!) 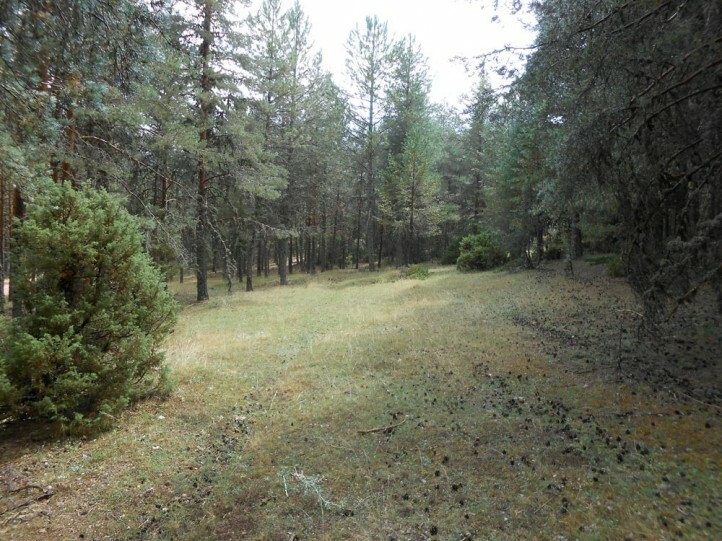 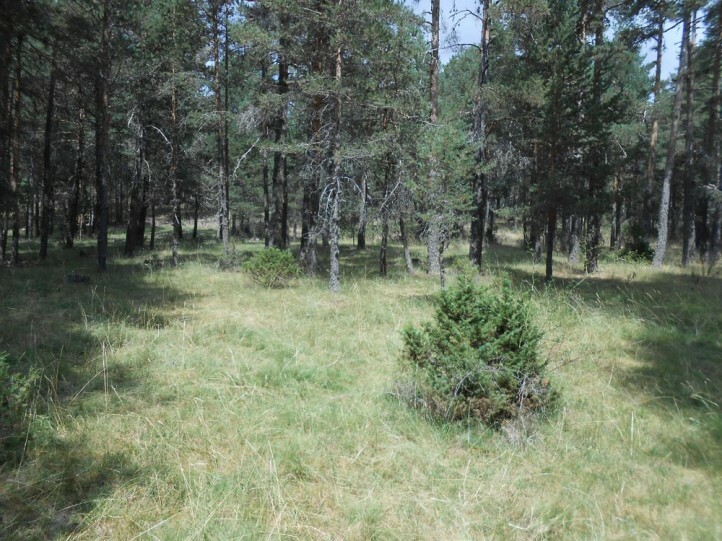 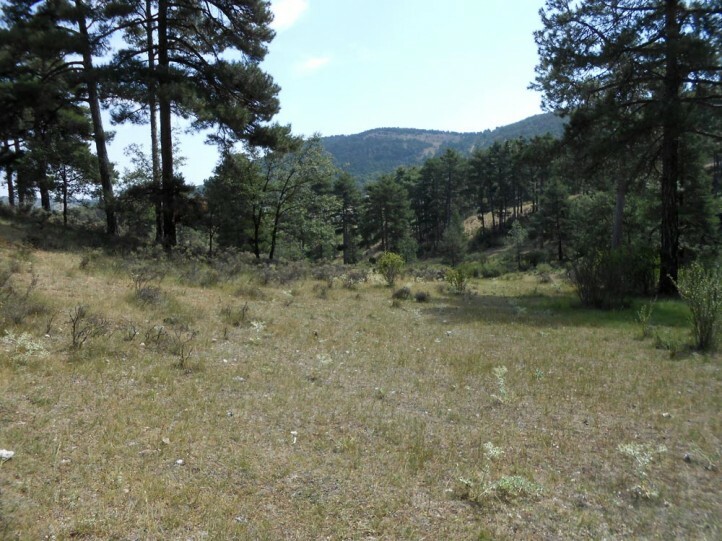 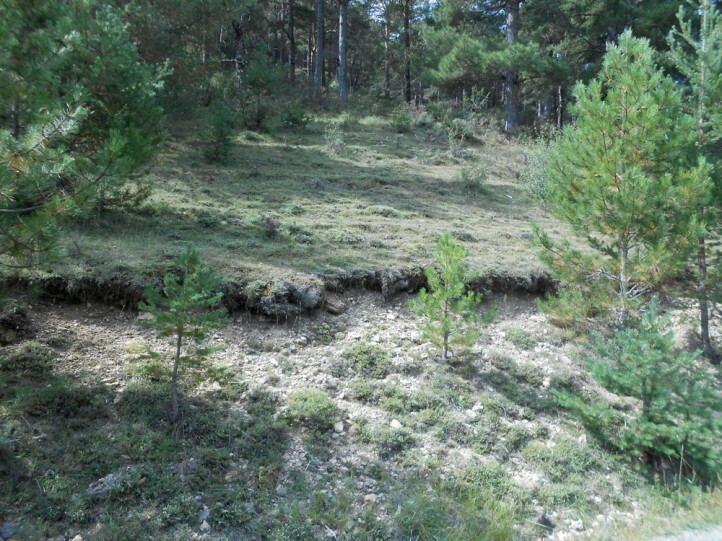 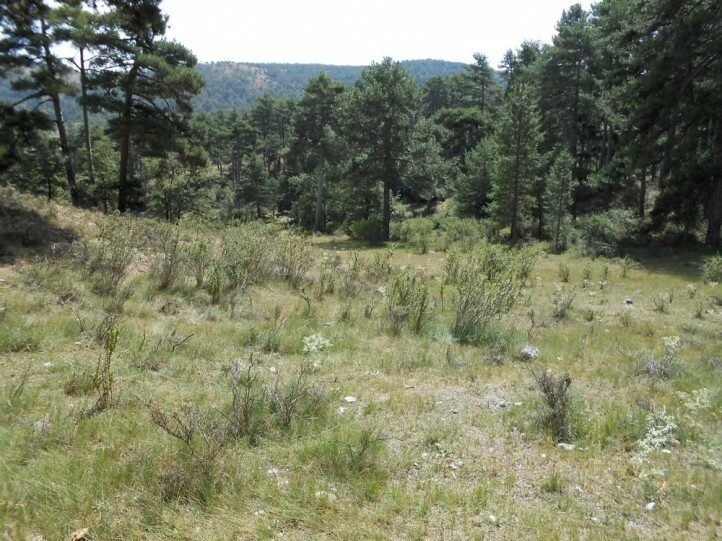 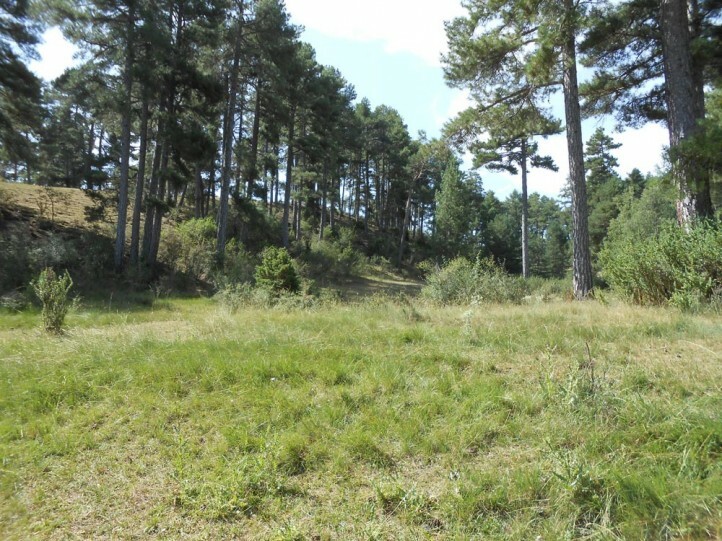 and nutrient-poor grasslands with trees and bushes at the pine forest edge. 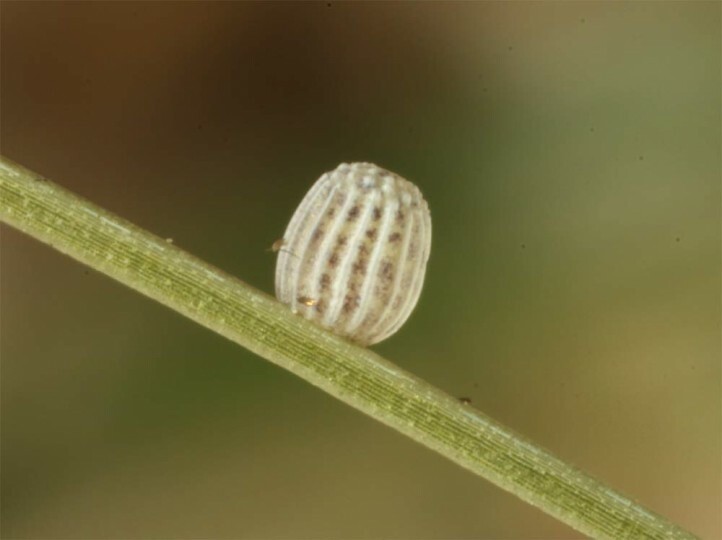 Erebia zapateri is quite abundant at appropriate sites. 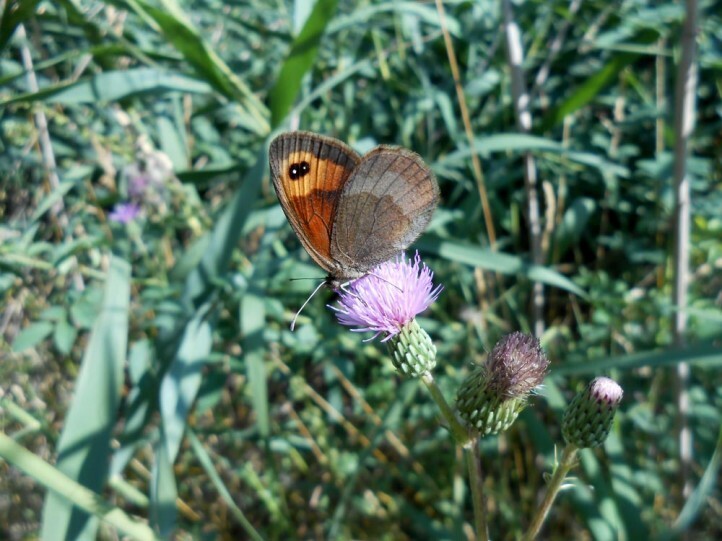 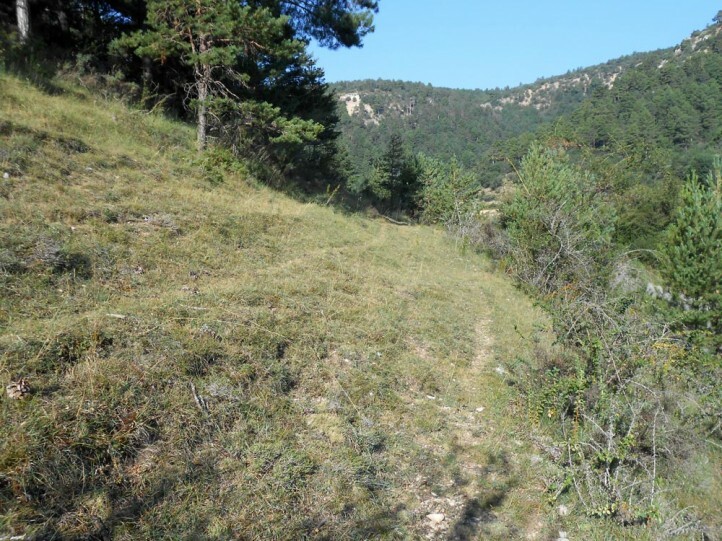 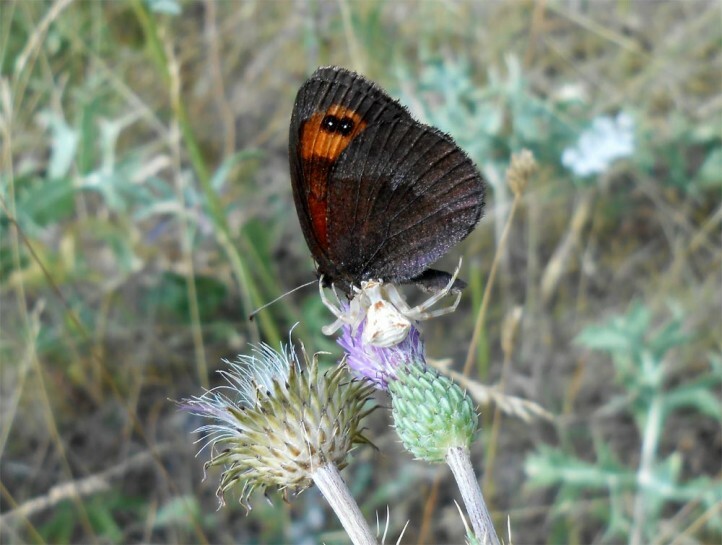 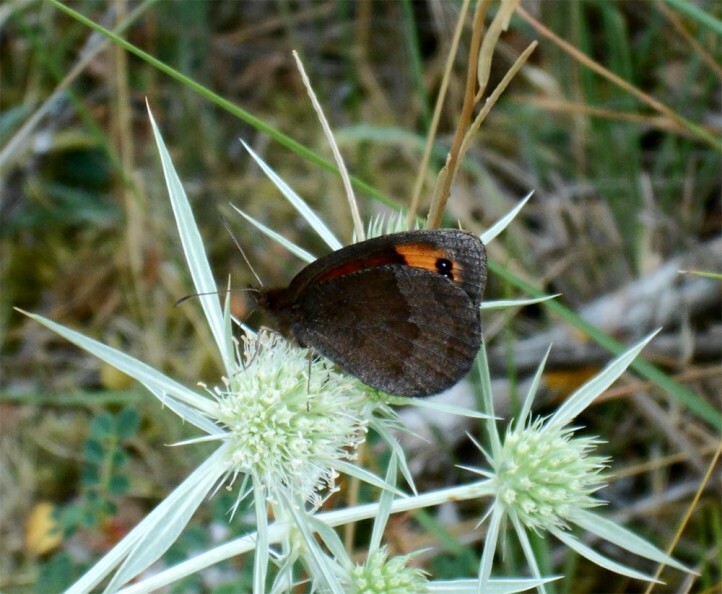 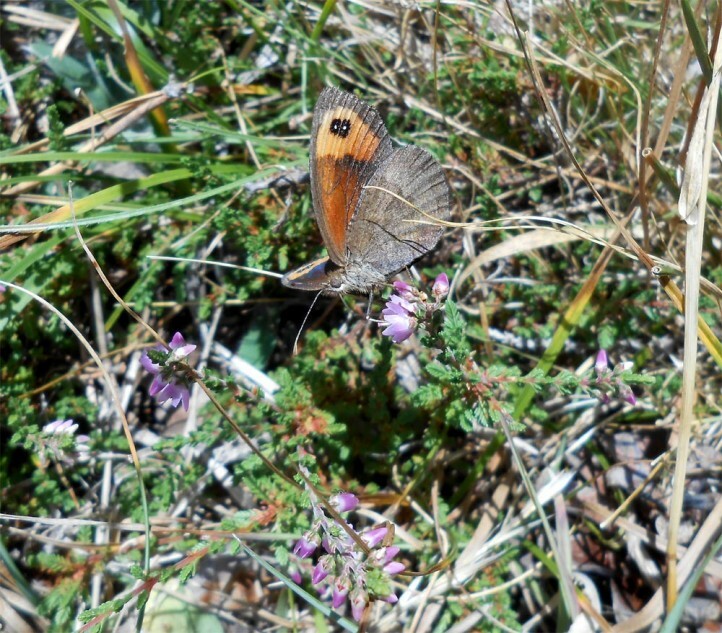 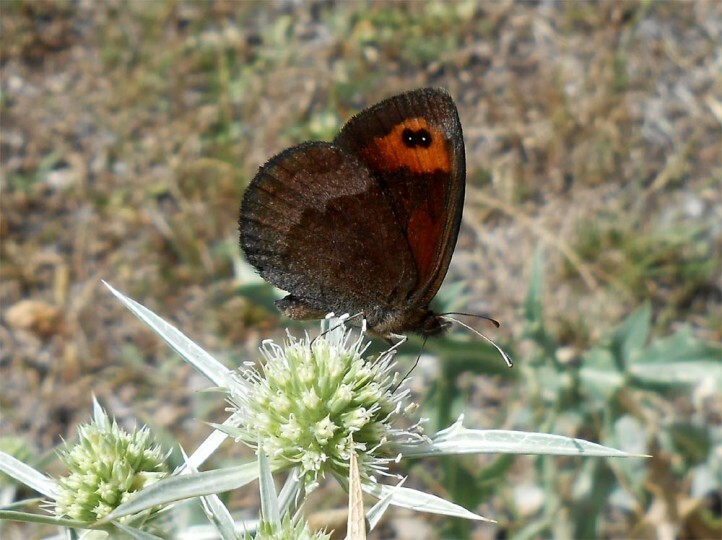 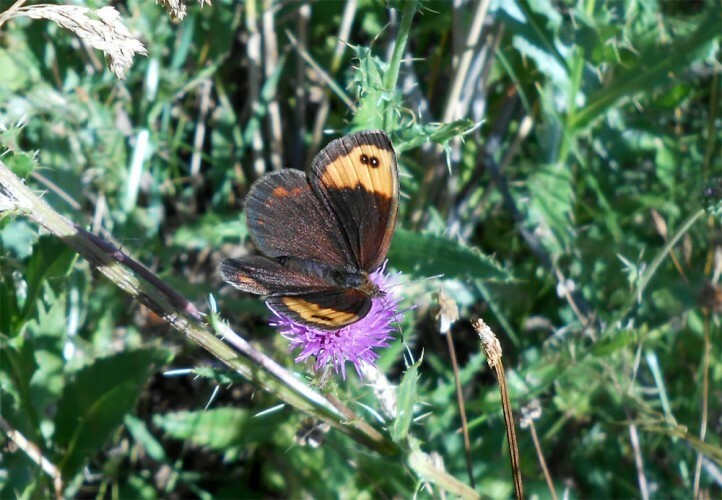 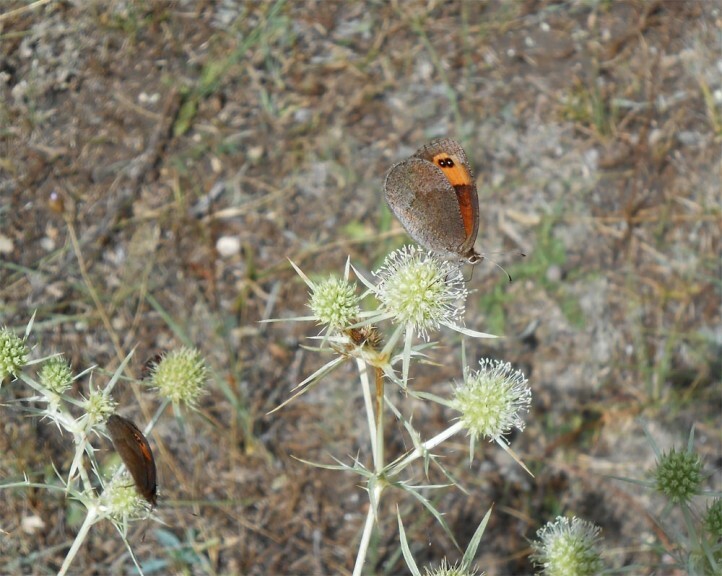 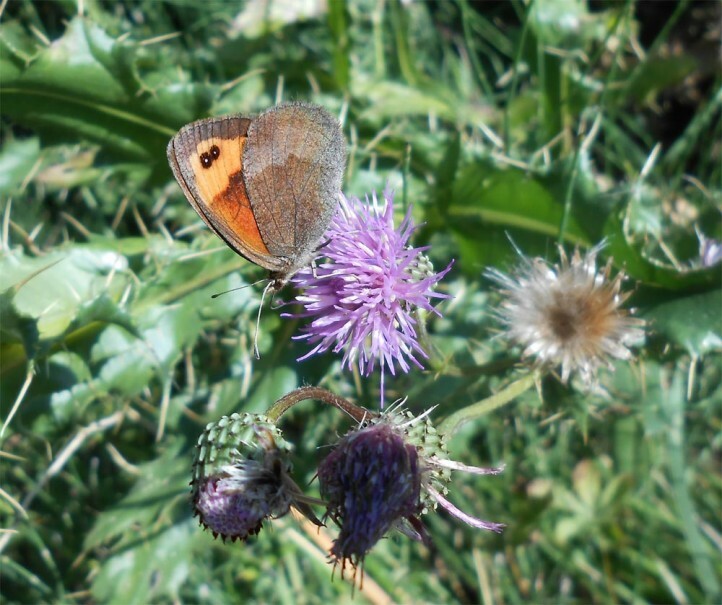 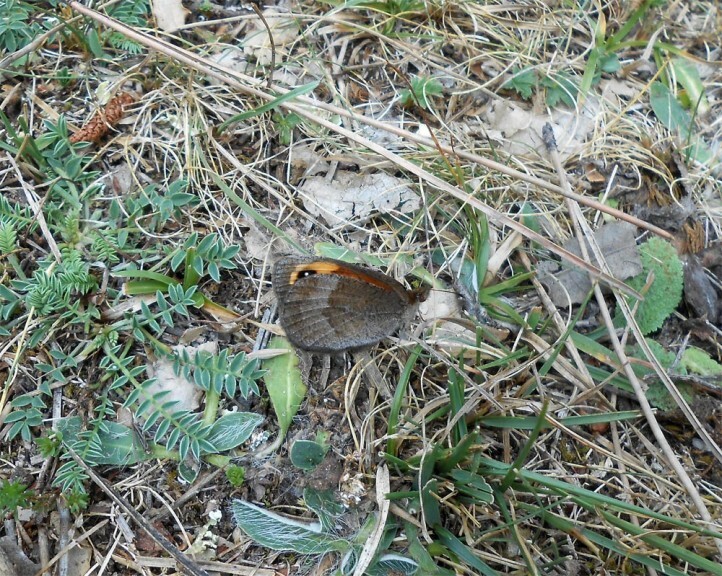 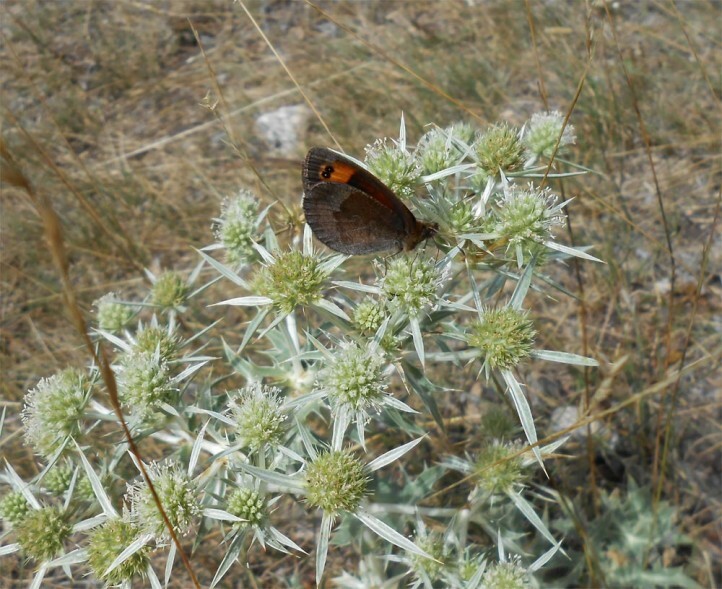 So I observed more than 50 adults in a grassland-like limestone pine forest edge and about 80 butterflies in an acidic, open pine forest with Cistus and Calluna (both in Sierra de Albarracin). 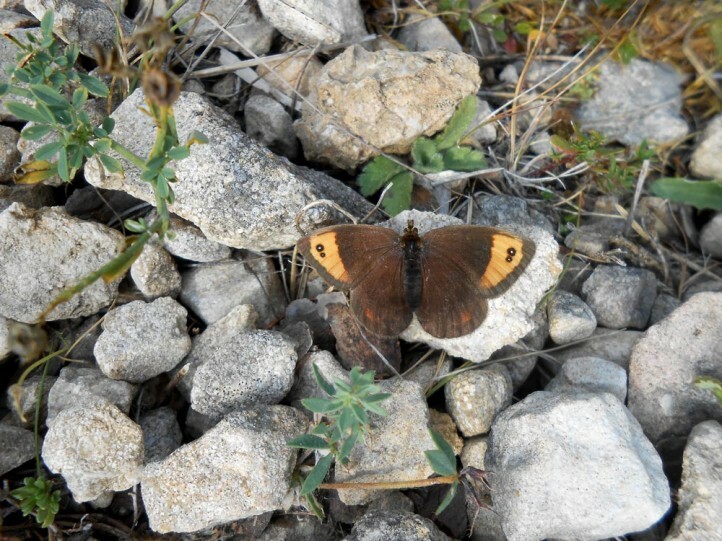 The adults are on the wings in one generation between late July and early September. 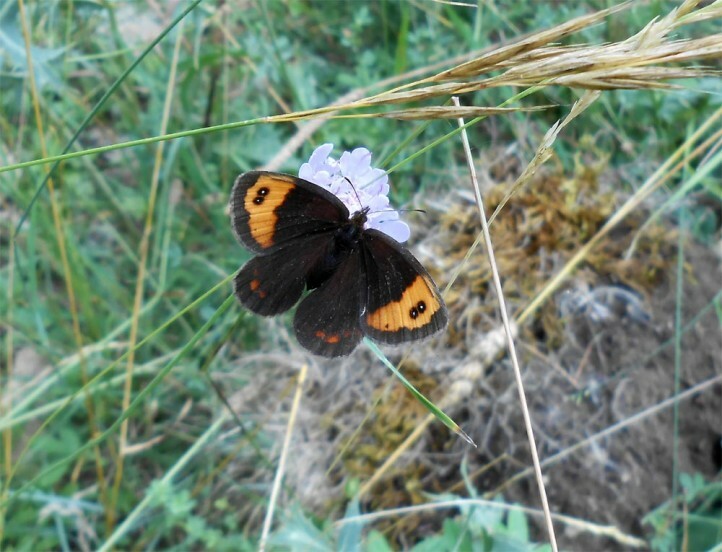 I found them still quite fresh in the last week of August 2013. 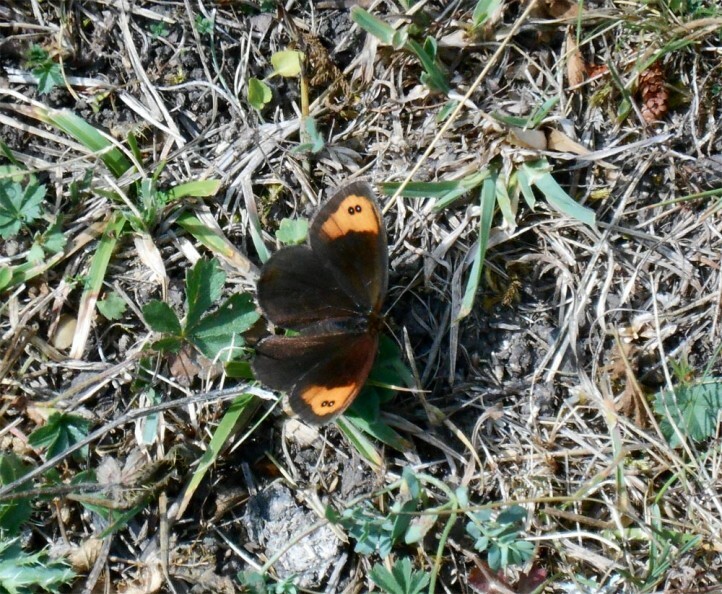 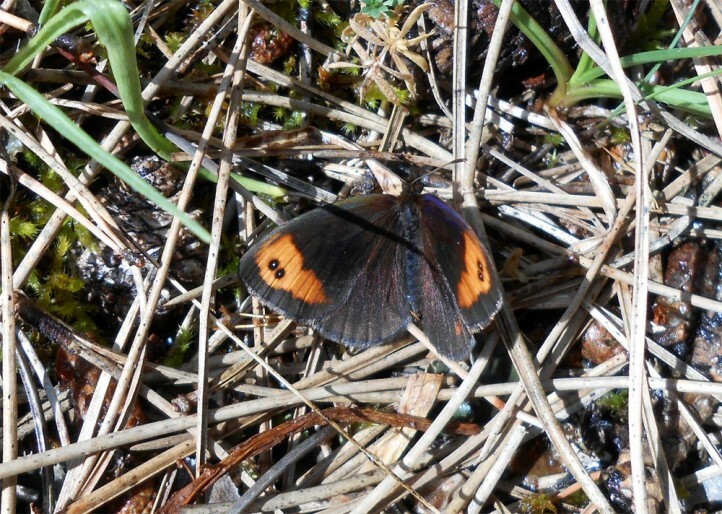 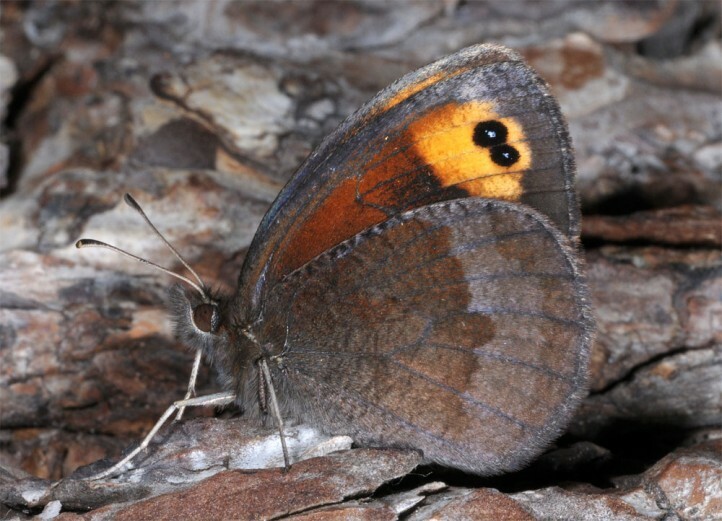 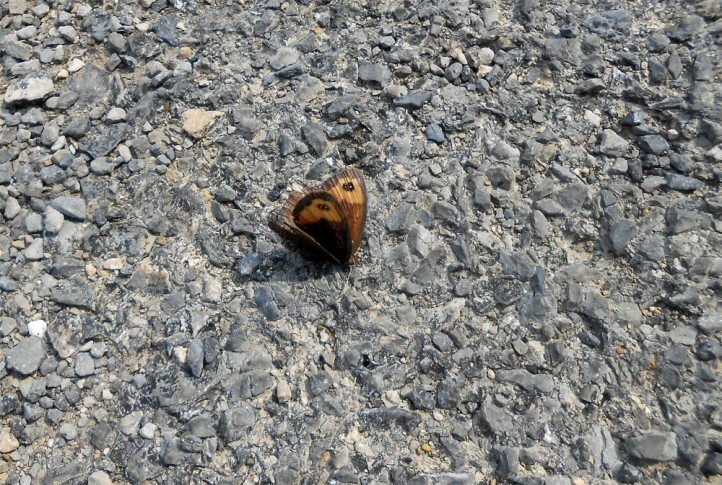 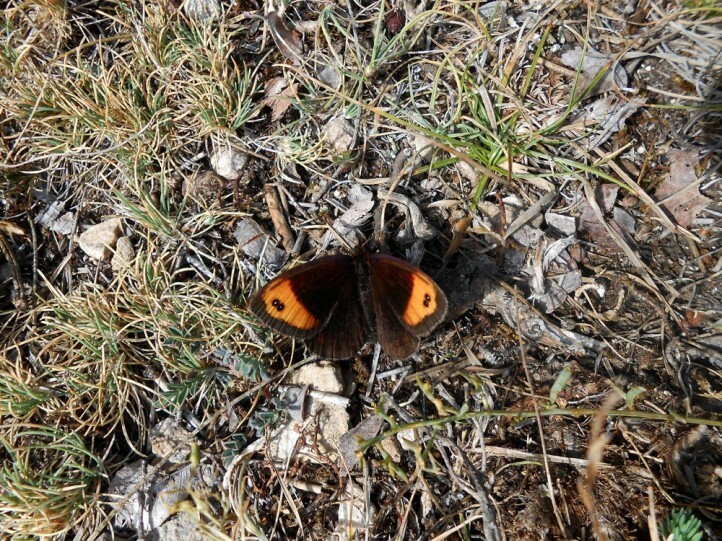 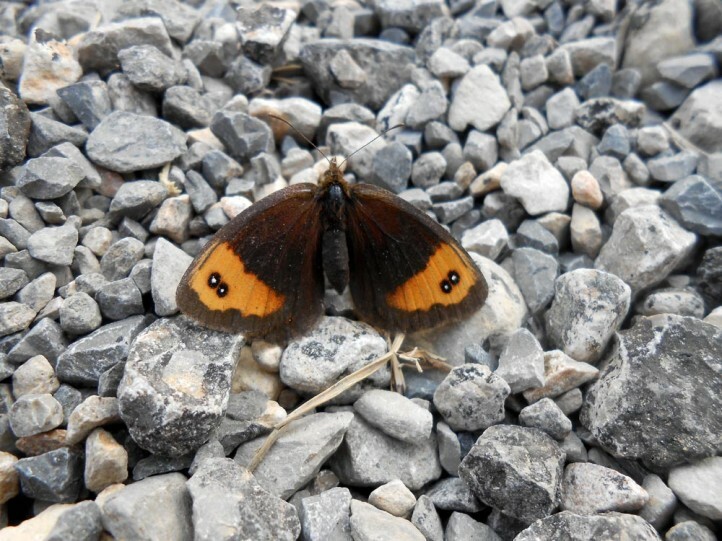 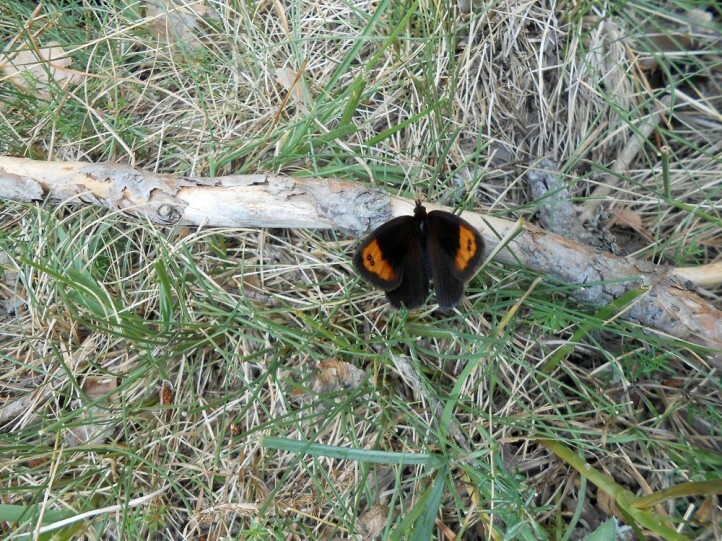 The butterflies often warm up with open wings on the ground in the morning. 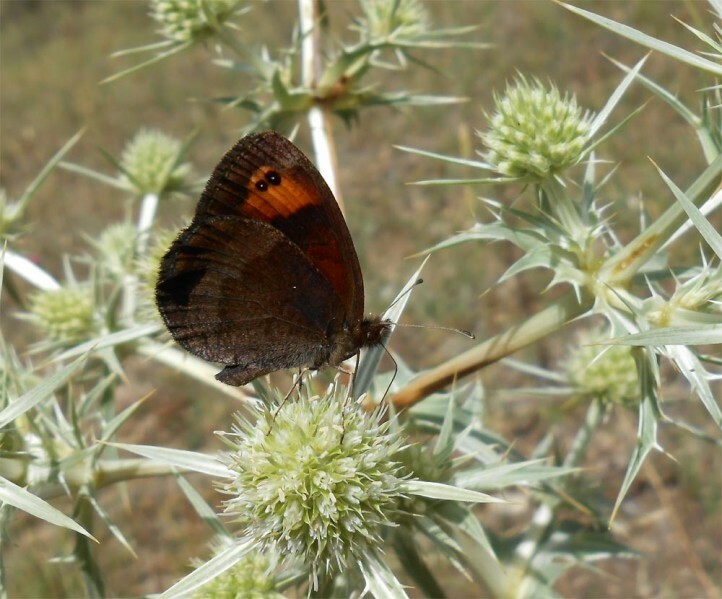 Later on they visit eagerly nearly all available flowers such as Cirsium species, Eryngium campestre, Calluna vulgaris or Centaurea. 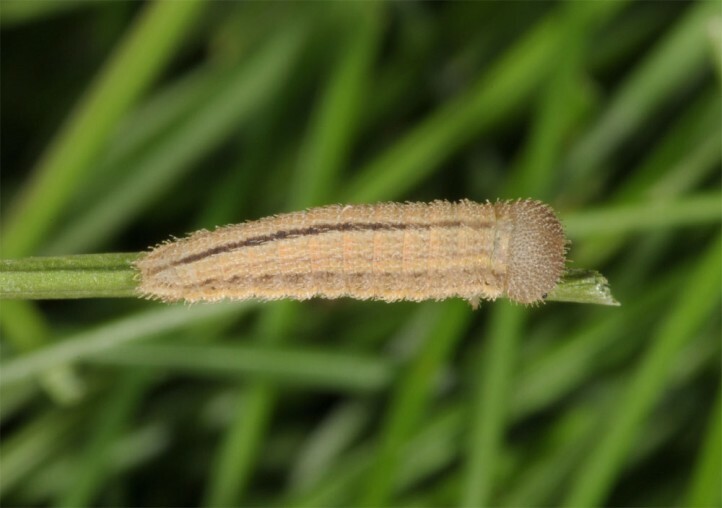 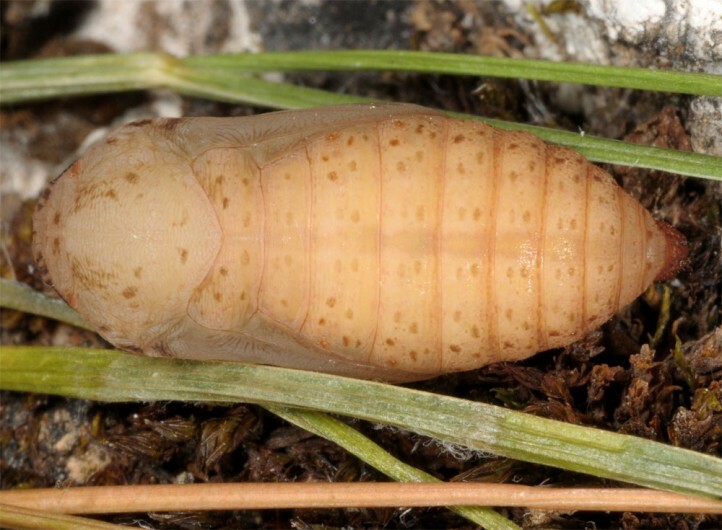 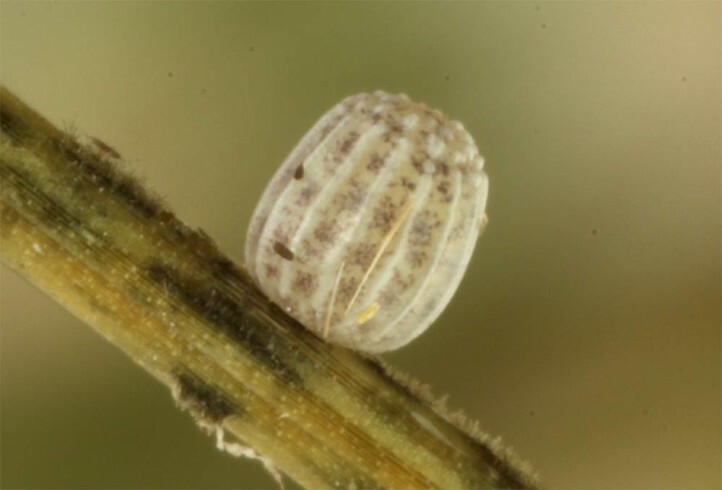 Oviposition occurs near the ground in the grass tussocks and also at other structures like mosses. 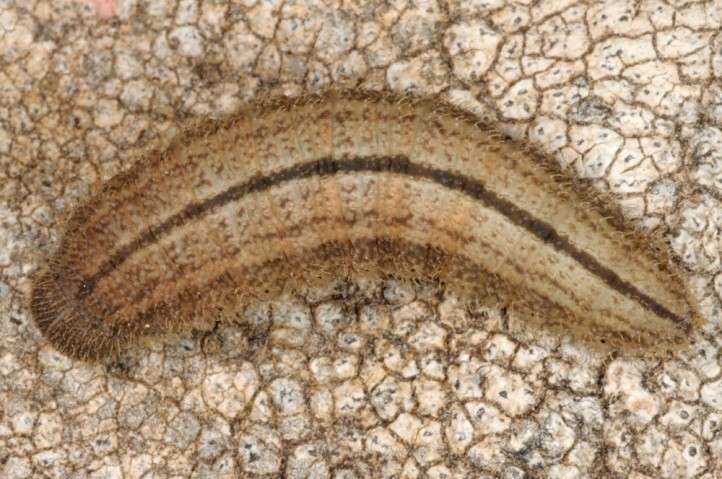 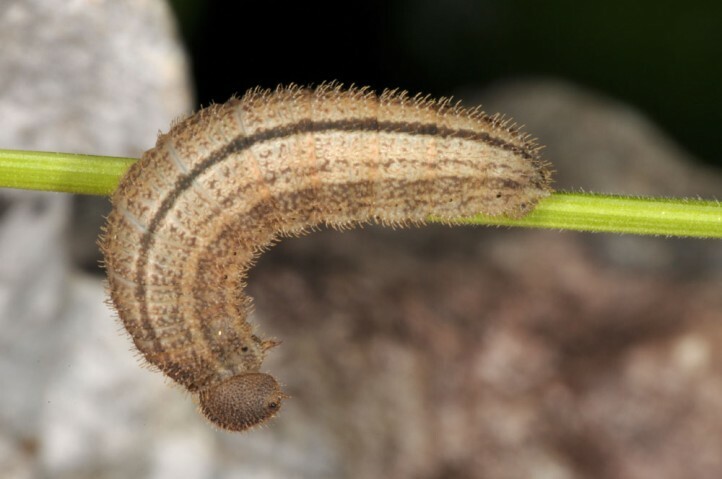 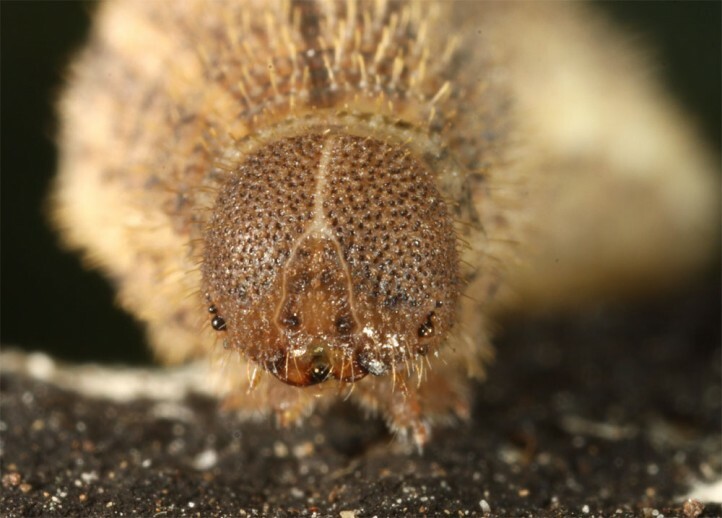 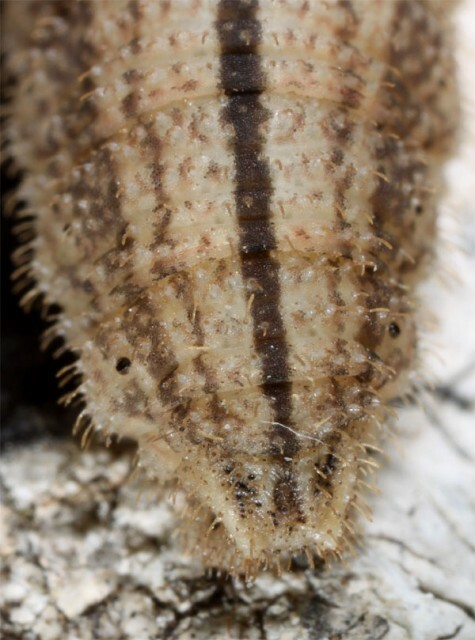 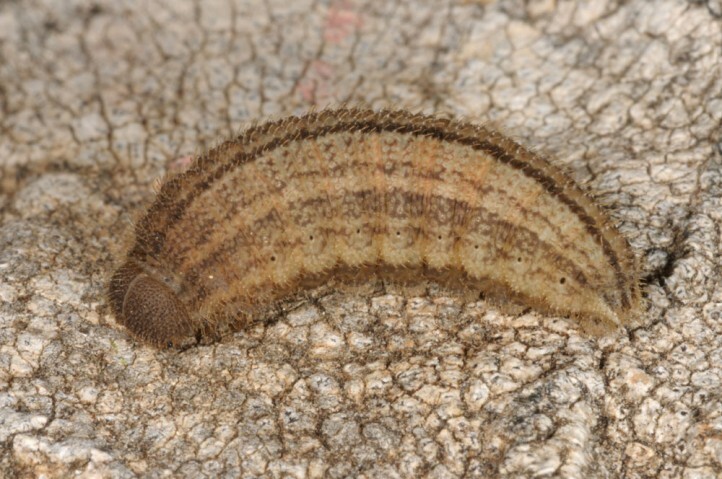 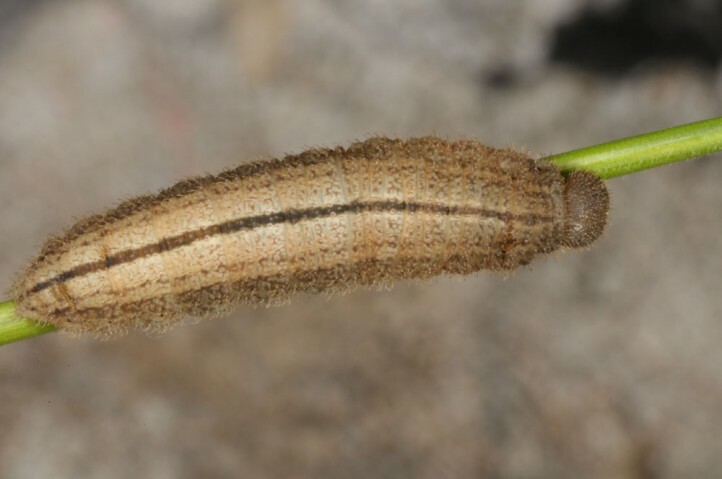 The caterpillars hibernate and should be mature in early July. 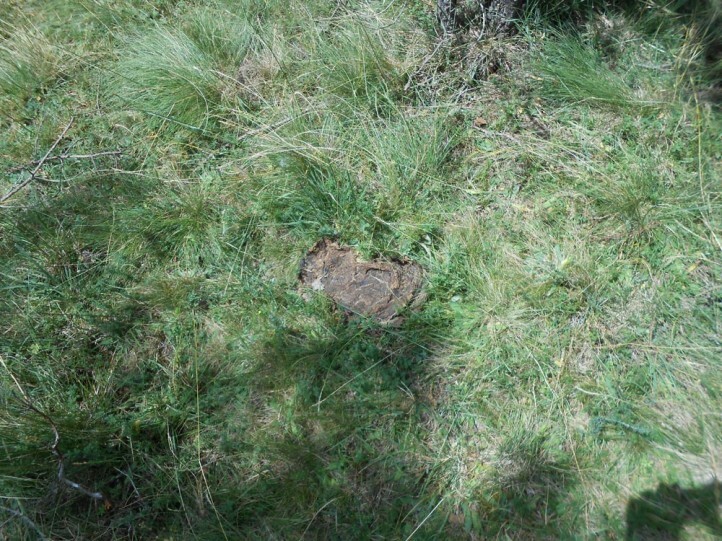 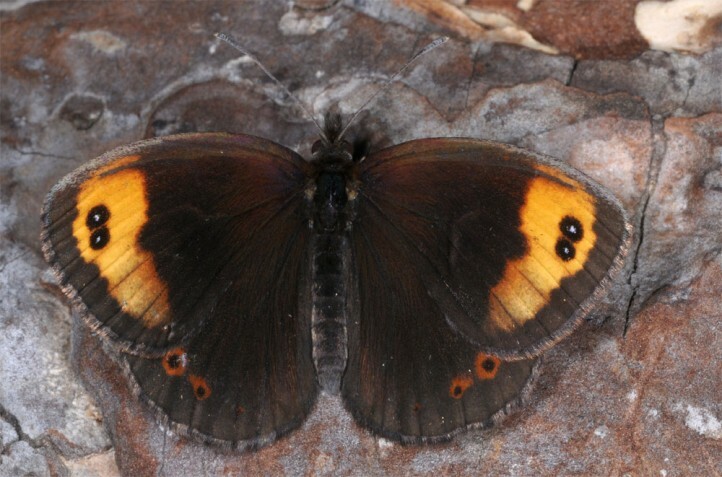 Some populations of Erebia zapateri are endangered by changes in the forest edges and forest gap systems such as abandonment of extensive grazing, forestry measurements or tourism. 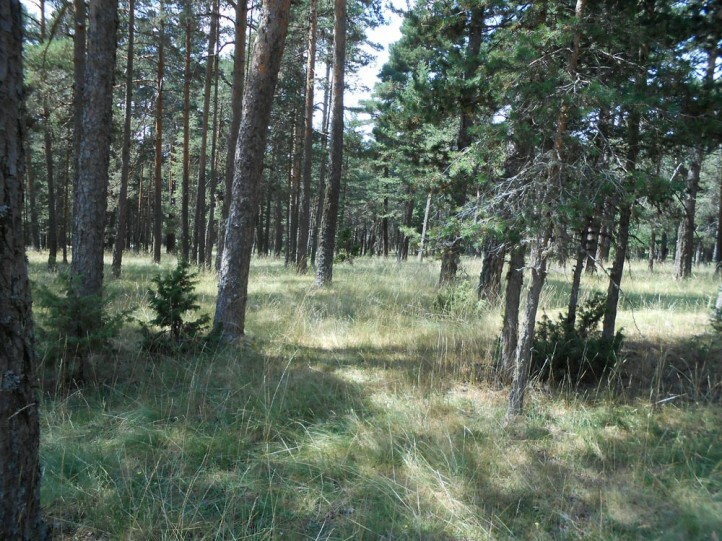 Furthermore there is the potential thread due to climatic change and forest fires. 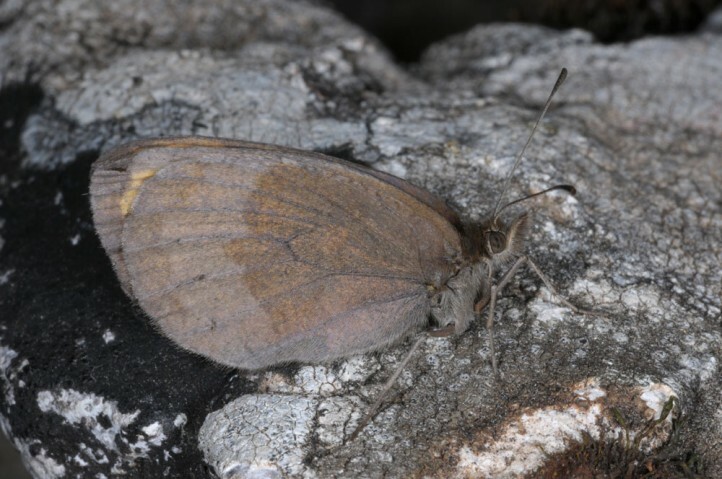 At the moment, there are locally still quite abundant populations. 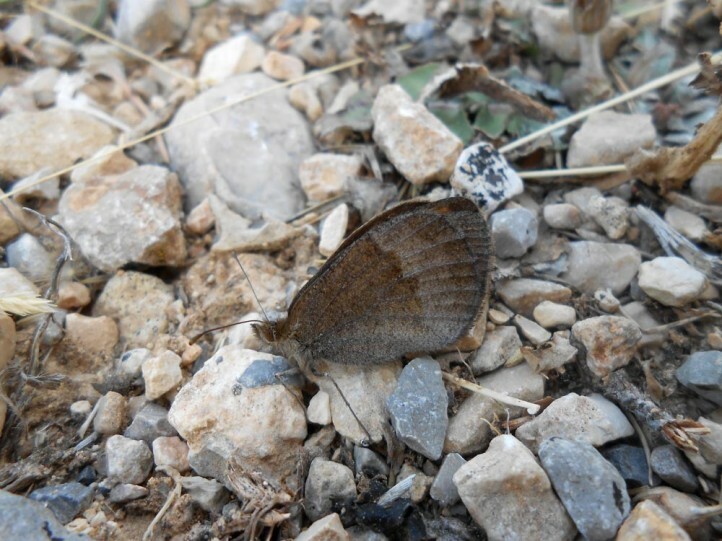 Erebia zapateri is endemic to eastern Spain and occurs only locally in the vicinity of the Montes Universales/Sierra de Albarracin where it mostly settles in pine forests between 1100 and 1700m asl. 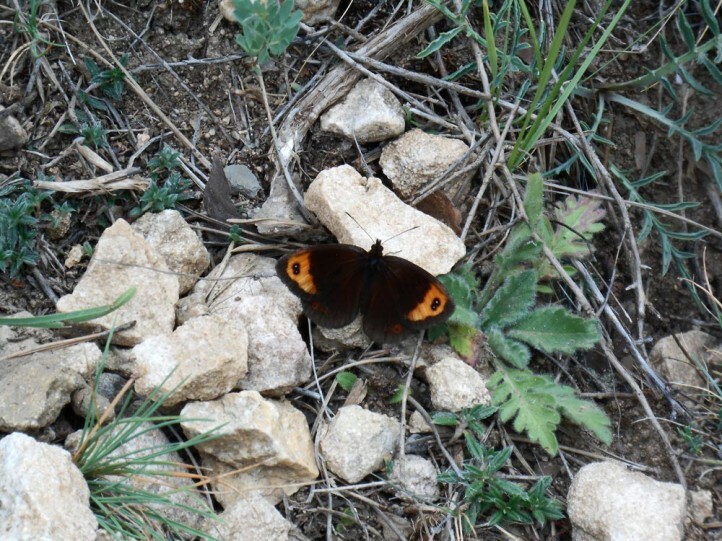 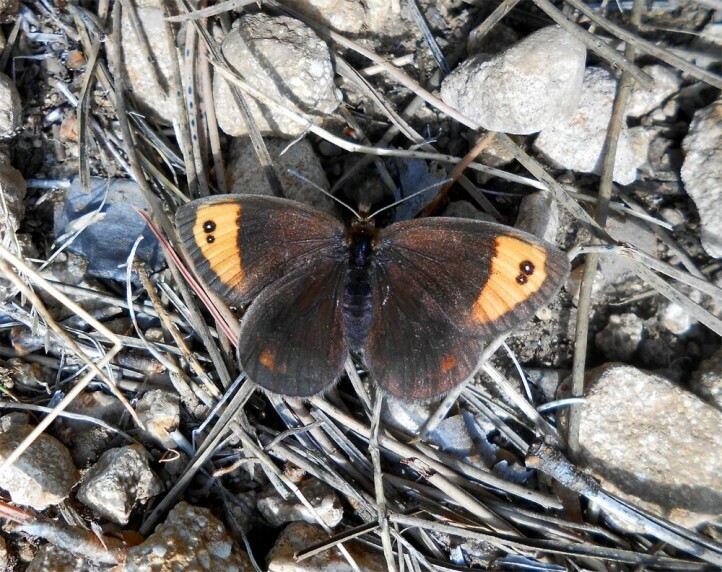 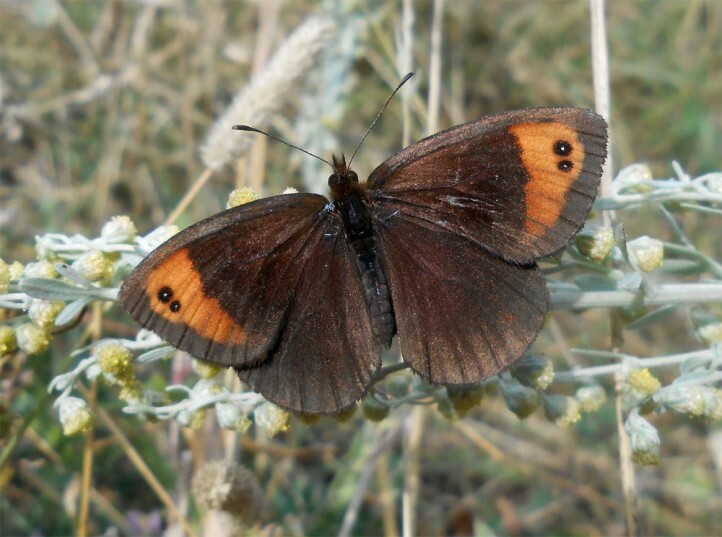 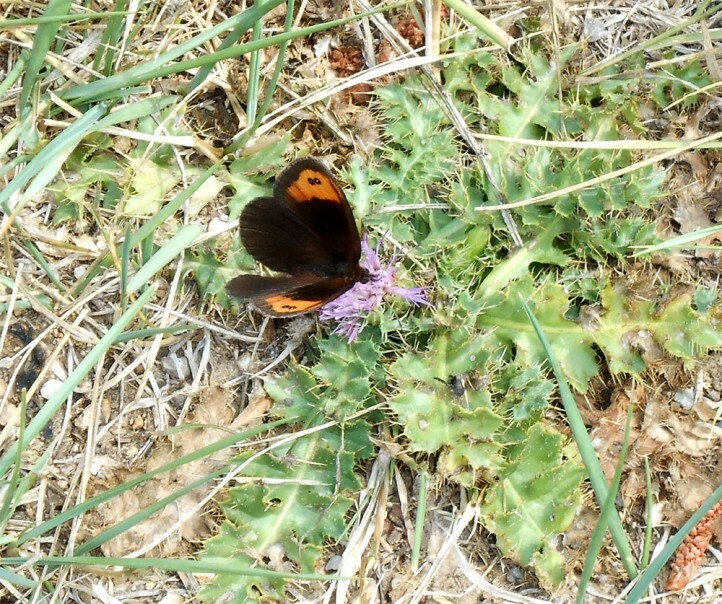 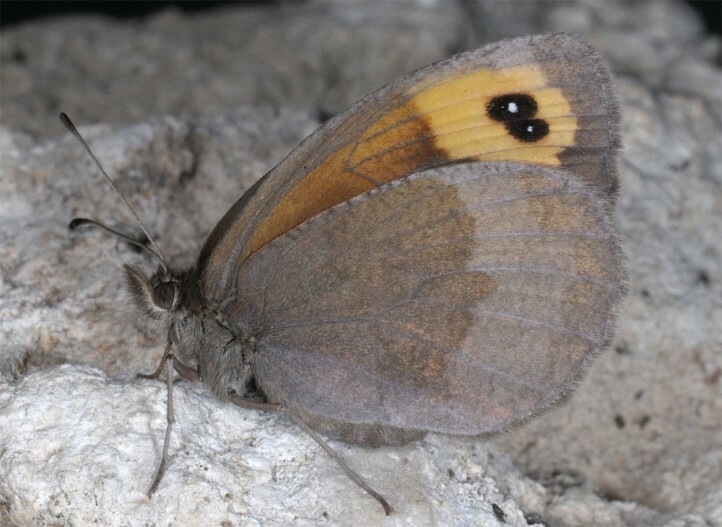 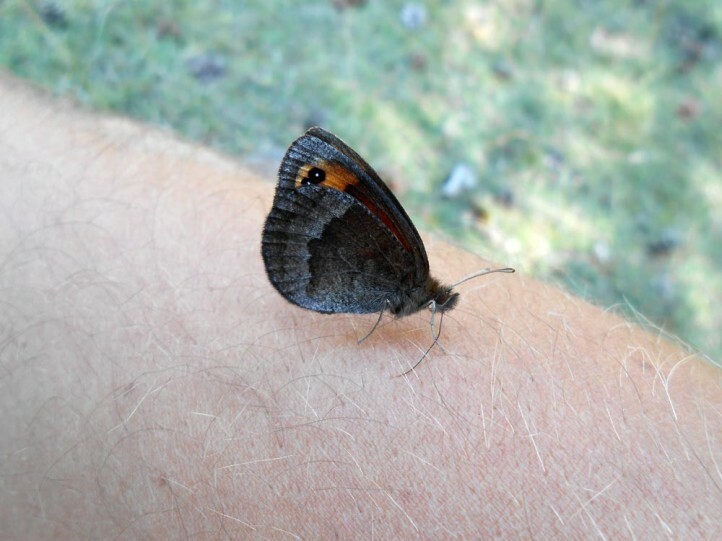 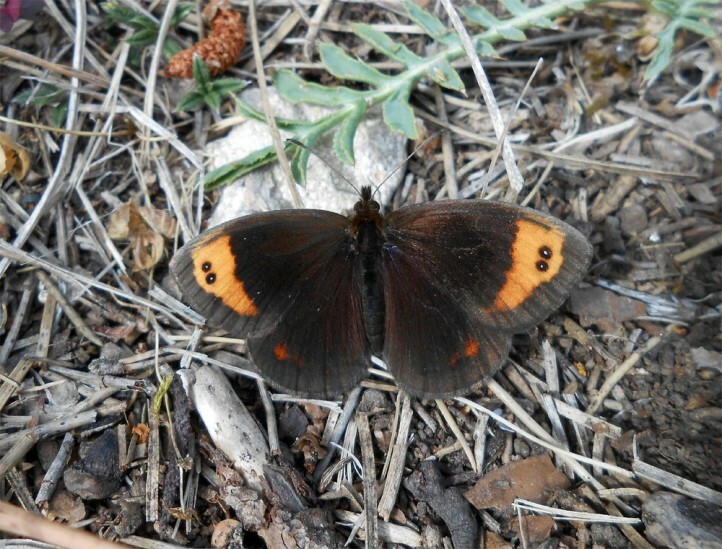 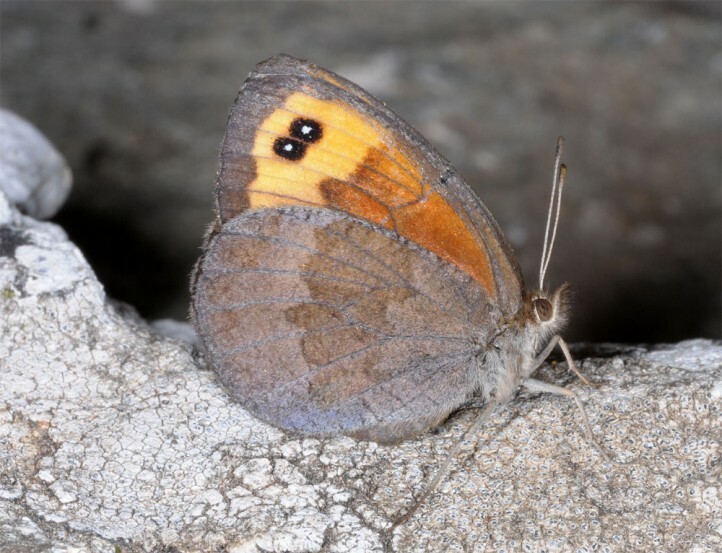 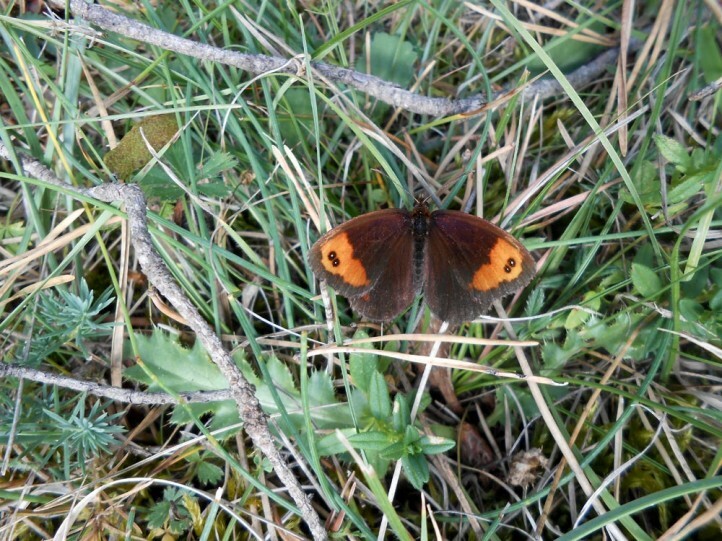 The butterfly is close to Erebia neoridas.